Just published for kids – Joyce's mystery and fiction book reviews with some non-fiction too! This is a chapter book for beginning readers. 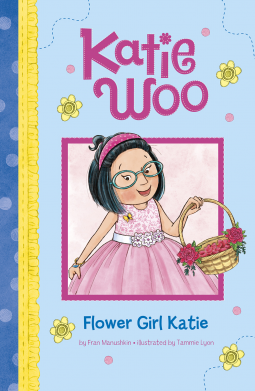 It tells the story of Katie who is asked to be a flower girl in her relative’s wedding. Katie’s friends offer her help and support as she gets ready…one even becomes a co-flower girl so that Katie won’t be too nervous. This is a simple book that may be of interest to children who want to know more about weddings. The illustrations are engaging and multi-cultural and they add to the appeal of the story. Do you have a child who will be starting school soon? Would they like to know what to expect? If the answer is yes, this book is for you. Tour school with young student, Kushi. She goes through all of the important parts of the building, including important stops like lunchrooms and bathrooms. Classrooms, the office, library, gym and more are included in this reassuring visit. 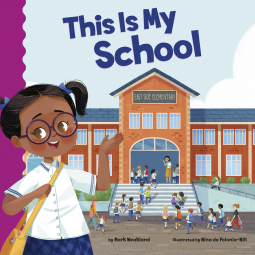 With its colorful, multicultural illustrations and additional resources, this story will be a welcome addition to the genre.